Arcadia will also get more single cabins, and existing cabins will be freshened-up. There will also be work done in the Globe/Electra area. Lloyd Werft will build a new deck house on Deck 10 weighing 75 tons. It will also build the 23 passenger cabins and a suite, all with balconies, in the new deck house structure. 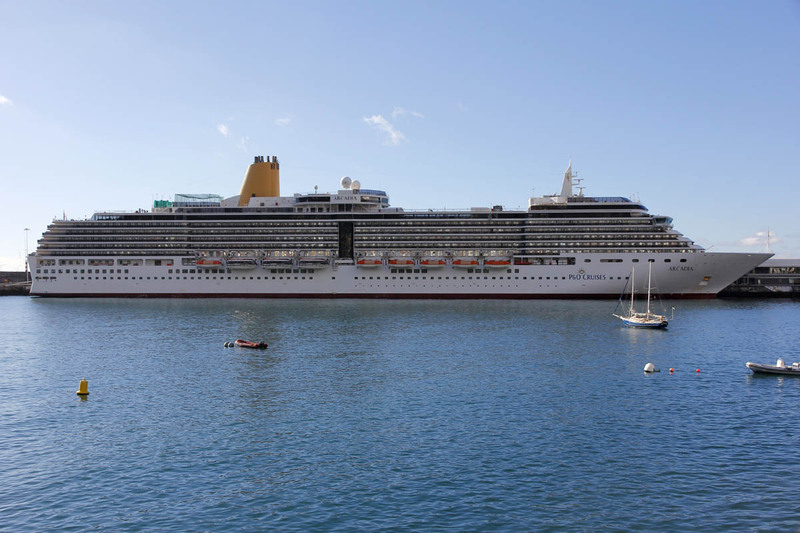 The new deck house will not only increase passenger capacity from 1,952 to 2,000 and the number of passenger cabins from 976 to 1,000, but will add holiday comfort to the “Arcadia”. That’s because the ship will also get a new 550 square m outside sun-bathing area. Also being installed are additional catering and air-conditioning facilities. Deck 10 is the Sun Deck, and the new deck house will be in the currently open deck space between the back of the Crows Nest and the forward edge of the magradome. Furthermore, to my surprise I’ve found that my 2014/15 P&O brochure, which I’ve had since April, clearly shows this new structure. It’s on the P&O website as well. There will be 1 new mini-suite, 14 standard balcony cabins, 2 single balcony cabins, plus 7 inside cabins, 3 double and 4 single. The suggested work that was going to happen in the Globe / Electra area is either much smaller in scale than originally planned or perhaps isn’t going to happen at all – certainly I can’t see any difference between the current deck plans and those for 2014 onwards. These changes will all be done in time for J401, Arcadia’s 92-night world circumnavigation, which is scheduled to start on 10 January. I enjoyed Arcadia when we did our two cruises on her. If the planned changes were to extend to the addition of a Glasshouse, I’d be very tempted to go back to her.